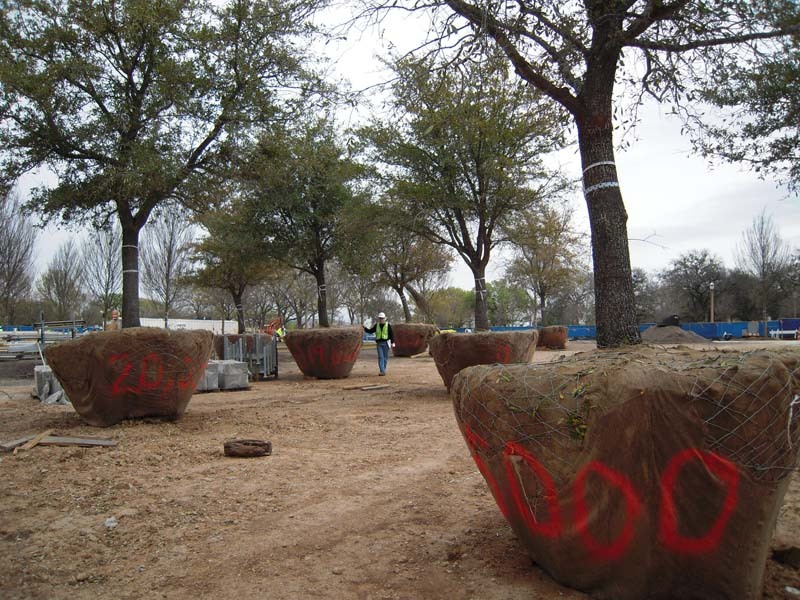 These live oaks have been delivered to a construction site in Texas and are being staged for planting. To give an idea of the size, that's me in the middle with the green vest. The trees were grown at a tree farm in east Texas. There are 12 oaks of this size and another 4 smaller oaks, along with about 300 other trees being planted here this season. Mike Morgan, ASLA, is lead designer for the project under contract with Pond & Co.